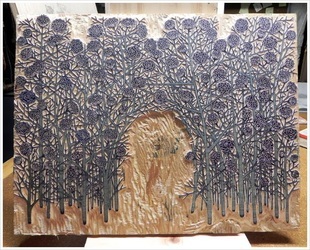 Relief Printing involves carving into a block with a variety of tools, applying ink to the original surface of the block. 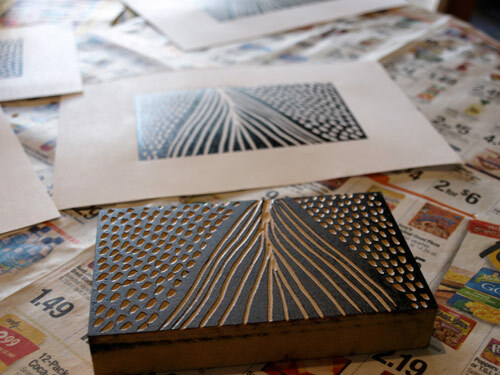 Ink is transfereed by putting pressure on the block, either by hand or press. Traditionally blocks are made from linoleum rubber or wood.